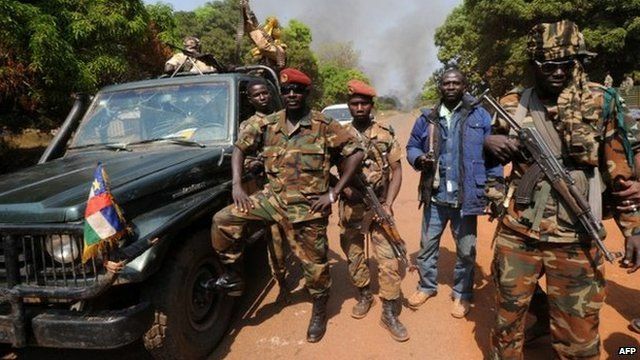 CAR rebels 'in presidential palace' Jump to media player Rebels in the Central African Republic (CAR) say they have seized the presidential palace after President Francois Bozize reportedly fled the capital. CAR rebels halt advance on Bangui Jump to media player Rebel forces in the Central African Republic say they have halted their offensive on the capital, Bangui, and will take part in peace talks. CAR rebels arrive for Gabon talks Jump to media player Leaders of the rebel group which now controls northern parts of the Central African Republic have arrived in Gabon for talks with government negotiators later this week. 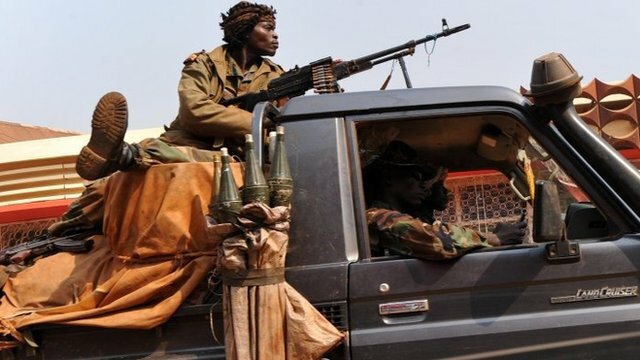 Rebels in the Central African Republic (CAR) say they have seized the presidential palace after President Francois Bozize reportedly fled the capital. 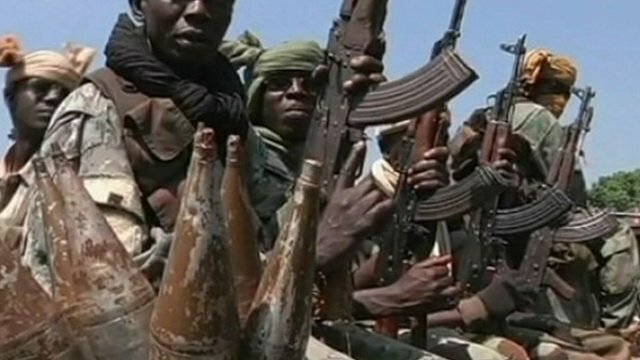 The Seleka rebels were said to be in control of Bangui, where witnesses said there was looting and sporadic gunfire.